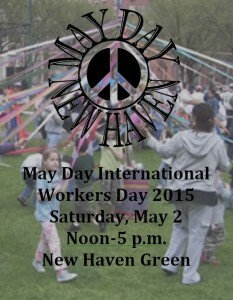 May Day on the New Haven Green Saturday May 2 from noon to 5 pm. 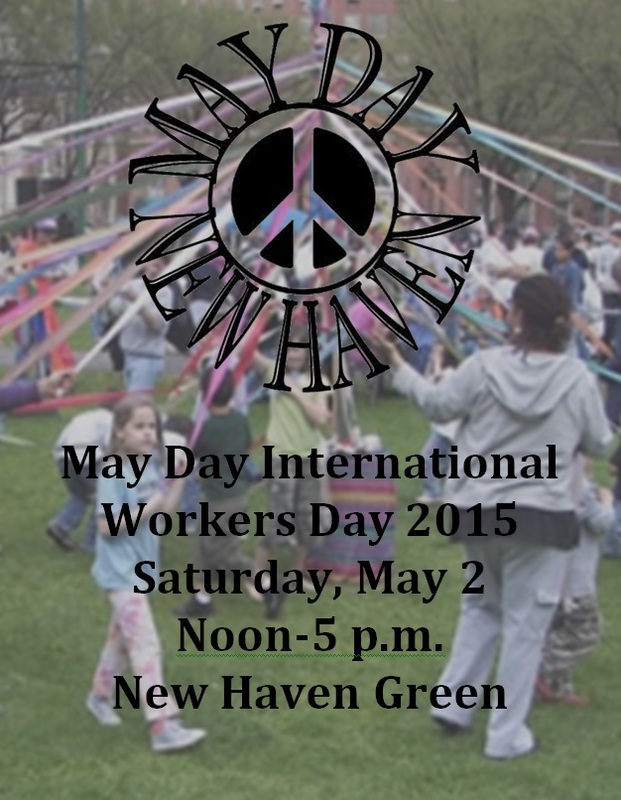 Come celebrate May Day, International Workers’ Day, Saturday, May 2 from noon to 5 p.m. on the New Haven Green. Raindate: Sunday May 3. This is the 29th consecutive year of May Day on the Green. May Day is a multi-cultural festival featuring live music, poetry, dance, children’s activities, speak-out time, a May Pole Dance and displays and information tables from local labor, peace, social service and social justice groups. 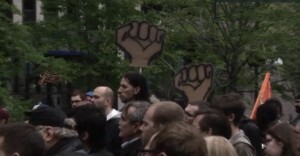 May Day is a participatory event that is free and everyone is invited. At a time when labor unions are being harassed around the country, we celebrate labor unions as being a worker’s best hope. At a time when immigrants are still struggling for their rights, we celebrate our immigrant heritage and culture. 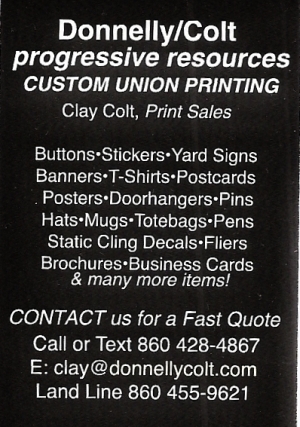 For more information visit us at maydaynewhaven.org or call (203) 843-3069. May Day mission statement: to organize a multi-cultural festival that honors and celebrates our labor history and the labor, peace, social service and social justice groups that today continue the struggle for peace and human rights. 5:30 P.M. March Immigration Reform, Safe Jobs with Fair Wages Worldwide, and Peace! Endorsed by: CT AFL-CIO, CT Immigrant Rights Alliance, Columbia Action Coalition, GNH Central Labor Council, Junta for Progressive Action, Mexico Solidarity Committee, NH Peace Council, NH Peoples Center, New Haven Rising, SEIU 32 BJ, Unidad Latina en Accion-ULA, UE Northeast Region, UE Locals 243, 222, UNITE/HERE at Yale. A Killingly, Connecticut zero energy house will be open to the public on Saturday, May 2. 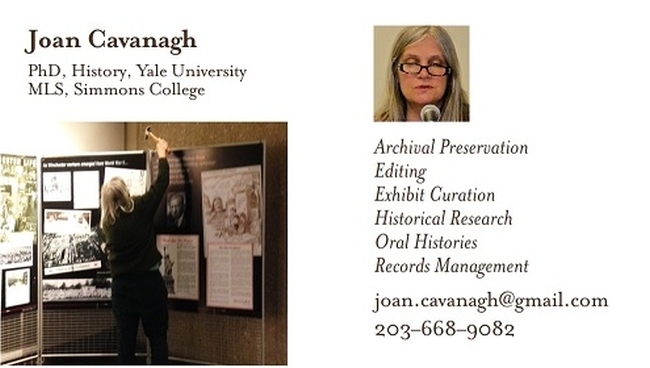 Tours and seminars will be held at noon and 2:30 p.m. The 2,600-square-foot Net Zero Energy Challenge winner has 12-inch thick walls; solar panels; air source heating and cooling pumps; a heat pump water heater; an ICF foundation; triple glazed windows; ceiling and sub slab insulation; and constant fresh air ventilation. Other energy-saving features in this ideal retirement home include lighting from LED and compact fluorescent bulbs and energy-efficient appliances (Energy Star). The house has French drains (no gutters, no ice dams) and a permeable driveway. Electric cars will be on display. The tour/seminar is sponsored by People’s Action for Clean Energy (PACE), the only all-volunteer nonprofit public health organization in Connecticut devoted solely to clean energy education. Additional information will be available on ethanol fireplaces; combination solar hot water for a radiant floor and a solar heated pool; surplus energy for electric cars; affordable retirement homes and minisplit heat pumps. Reservations will be accepted in order of receipt for the May 2 tour, which will be held rain or shine. The non-refundable tickets are $15.00 per person. To order tickets, go online to www.pace-cleanenergy.org and click on Events, indicating the choice of time for the tours and seminar. Tickets may also be ordered by sending $15.00 per person to PACE c/o Donna Grant, 128 Melrose Road, Broad Brook, CT 06016. Include the ticketholder’s name, phone number, address, email address and choice of time. For ticket information, call (860) 623-5487. For tour information, call (860) 693-4813. Thursday, April 30, 5:30-8 p.m., the NH Free Public Library, 133 Elm St., will show Pay2Play, a documentary film that explores America’s pay to play political system and some of the history that has brought us to where we are today. The film weaves together the stories of a dramatic election in Ohio; the secret history of the game Monopoly; and people taking action to fix the system. Professor Steve Tomsczak, Social Work Department at SCSU, will lead a discussion following the film. For more info about the film and to view the trailer go to: http://www.pay2play.tv/. This program cosponsored with Common Cause CT. Please join us for some great civic engagement! Our stories: “Fat” by Raymond Carver; “Araby” by James Joyce; and “The Use of Force” by William Carlos Williams. Join us Wednesday, May 13, 2015, 7:00 p.m. at Young Men’s Institute Library, 847 Chapel St. (Please note that the Institute Library is one flight up and, most unfortunately, not wheelchair accessible.) 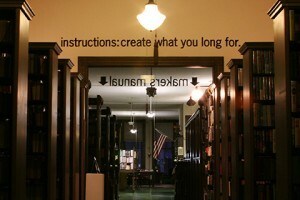 For more information, visit us at www.institutelibrary.org. There is a chance for Connecticut legislators in this session to approve large-scale shared solar projects with the passage of SB 928. However, instead of facilitating shared solar throughout the state, the Energy and Technology Committee, contrary to its own commissioned study, revised the bill to allow only two pilot projects (one being a two megawatt capacity and the other a four megawatt) for three years. When public testimony was accepted in March, hundreds of Connecticut residents wrote, telephoned and spoke to their legislators and members of the Energy and Technology Committee to encourage large-scale shared solar projects throughout the state. Needless to say, Fight the Hike members are disappointed that the Energy and Technology Committee wants to hold back on increasing the number of sustainable energy projects for CT residents. 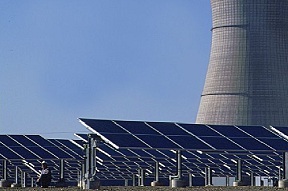 Large-scale solar investment has been successful in Massachusetts and other states. Pilot projects are not necessary to track its feasibility. It works! Unfortunately, it looks like our governor, the Dept. of Energy and Environmental Protection and others are side-stepping the expansion of solar energy and developed a disastrous policy to broaden natural gas transmission. We rate-payers will pay huge extra costs for increased gas development and have no guarantee of cheaper energy. In addition, the price of electricity is tagged to the price of natural gas. Is it an accident that UI and its parent company, the Spanish giant Iberdrola, are also very much involved in the natural gas and renewable expansion industries? The fact is these companies want to stall solar power until they can create rules and laws that will allow them to monopolize and grab the lion’s share of profit from these new industries away from the wonderful competitive pool of small solar companies (many growing right here in Connecticut) while the utilities also benefit from gas expansion. At present they want to hide the true value of solar power so as to control it. The Energy and Technology Committee’s own commissioned study by the Connecticut Academy of Science and Engineering called for a large-scale shared solar project. Why would they ignore their own scientific report? Has some kind of back-room pressure been applied to sabotage progress, a free market and to keep rate-payers tied to the over-priced energy of corporate monopolies? Please contact your legislators and the co-chairs of the Energy and Technology committee to let them know you support expansion of shared solar in CT.
Don’t let your PAR subscription run out! The Progressive Action Roundtable newsletter publishes from September through June. Subscriptions from many of our readers will expire with the June issue. We hope you enjoy your subscription and see the PAR newsletter as a community resource. To see if your subscription is due for renewal, please look at your address label. If “201506” is printed on the label to the right of your name, your subscription ends next month. Please send in $13 for 10 issues (Sept. 2015-June 2016) so that you can continue to read about what local organizations are doing and you can submit articles about your own organization. The Progressive Action Roundtable was started in January 1993. After several months, this community Newsletter became the main activity of PAR, giving New Haven area organizations an opportunity for networking and for advertising their activities. The deadline for the May Progressive Action Roundtable Newsletter is Monday, April 20. Please send in to this e-mail address -parnewhaven@hotmail.com – articles about your group’s recent and current activities and upcoming actions and events. The Newsletter will come out approximately April 29. Please consider this when submitting calendar items. The Green Party of Connecticut’s annual meeting will take place Saturday, April 25 from 11 a.m. to 5 p.m. at the Portland Waverly Center (former Portland Senior Center), 7 Waverly Ave. in Portland. Our meeting is open to the public. Only members may vote for the candidates for internal elections or provide input regarding the future focus of the GPCT over the next twelve months. 11a.m. : Statements from the candidates for the GPCT Executive Committee (three co-chairpersons, a treasurer and a secretary) and three representatives from the GPCT to the Green Party of U.S. (GPUS). Followed by Q & A. 12 p.m.: Potluck lunch break; merchandise is available for GPCT fundraising. Goals of fundraising: money to help petition to acquire 7500 valid signatures to acquire a CT ballot line for the GPUS 2016 presidential candidate; GPCT ability to sponsor or co-sponsor events; administrative costs. 12:30 p.m.: Linda Thompson, GPCT co-chairperson, to discuss her recent trip to Cuba with Code Pink. 1 p.m.: Deadline for submission of ballots to the Elections Committee. 1 p.m.: Tim McKee, as the GPCT liaison to GASP, the Green (Party) Alliances to Stop the (Algonquin) Pipeline, will discuss status. 1:30 p.m.: Updates about our 2015 proposals to the CT Legislature. 2 p.m.: Session A workshops (choose one): CT Public Banking with Ed Heflin, co-founder of CT Public Banking Institute; Conflict Resolution (facilitator tbd); Mental Health and Public Health Reform with Rolf Maurer and Sheila Matthews from AbleChild.org; Renewable Energy (facilitator tbd); Common Core Reform with Jonathan Pelto. 2:45 p.m.: Session B workshops (choose one): Urban/suburban/rural Farming, i.e. farm to table marketing by Paul Gobell and Barbara Barry; Decriminalization of Cannabis and the Use of Hemp Economy with Rolf Maurer and a spokesperson from HempCT.info; Ballot Access and Voting with S. Michael DeRosa and Doug Lary. Demilitarization and Racism (facilitator tbd). 3:30 p.m.: All attendees to give feedback regarding the focus of the GPCT for the next twelve months. 4 p.m.: Results of the Internal Elections. Selection of date, place and time of the next State Central Committee (SCC) meeting. The GPCT National Committee representatives will be selected at the next SCC meeting. Date/place and time of the SCC meeting after the 4-25-15 GPCT Annual Meeting, will be determined by the EC elected on 4-25-15. Please let us know if you would like to volunteer for any National Committee(s). For more information about GPUS National Committees, please see www.gp.org/members/committees.